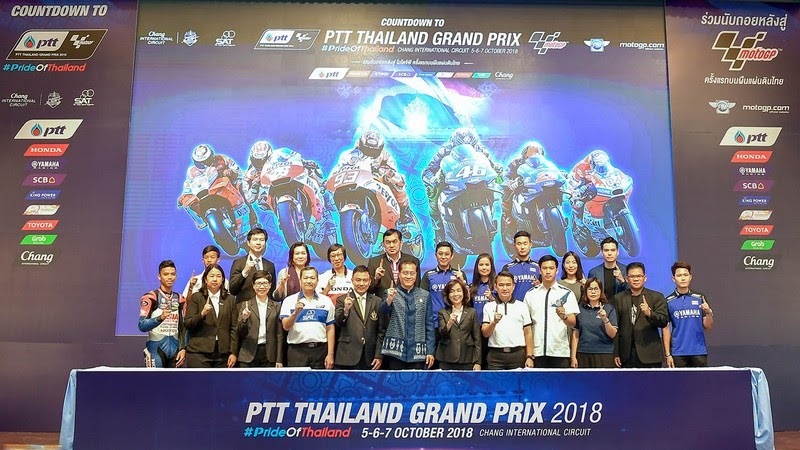 The Sports Authority of Thailand (SAT) on behalf of Ministry of Tourism and Sports in collaboration with Buriram Provincial Government Office, Thailand’s energy giant PTT, and Chang International Circuit announced their readiness to host the first-ever MotoGP of Thailand under PTT Thailand Grand Prix and welcome hundred thousands of motorsport fans, marking a historic moment for the country. 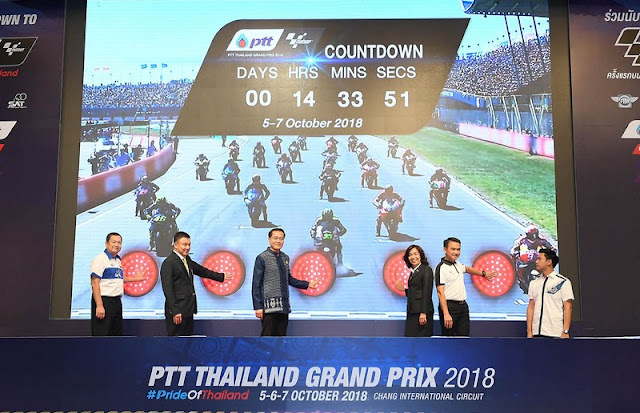 The Thai people are invited to start counting down to the excitement that is occurring on October 5-7, 2018. 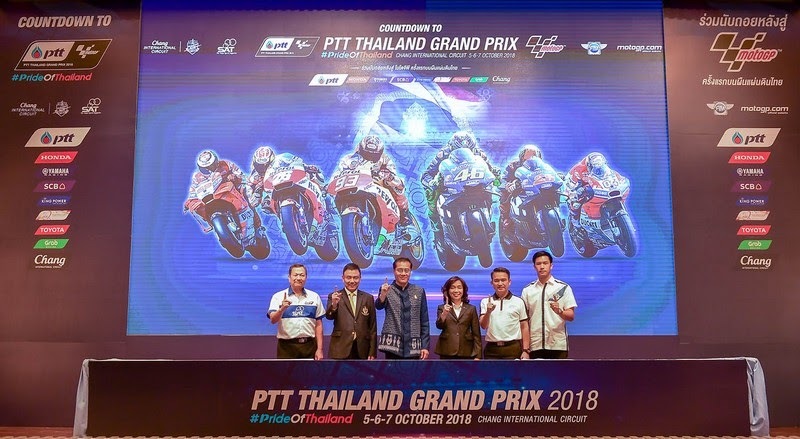 The MotoGP 2018 world championship makes its way to Thailand for the first time. This monumental race, titled PTT Thailand Grand Prix, is the 15th round of MotoGP 2018, which will take place October 5-7, 2018, at Chang International Circuit, Buriram. On September 24, the Ministry of Tourism and Sports, the Sports Authority of Thailand (SAT), along with the Buriram Provincial Government Office, PTT Oil and Retail Business Company Limited (PTTOR), Chang International Circuit, and its partners held a press conference at the King's 84th Birthday Anniversary Building, the Sports Authority of Thailand (Hua Mark), to announce their readiness to host Round 15 of MotoGP 2018, PTT Thailand Grand Prix. 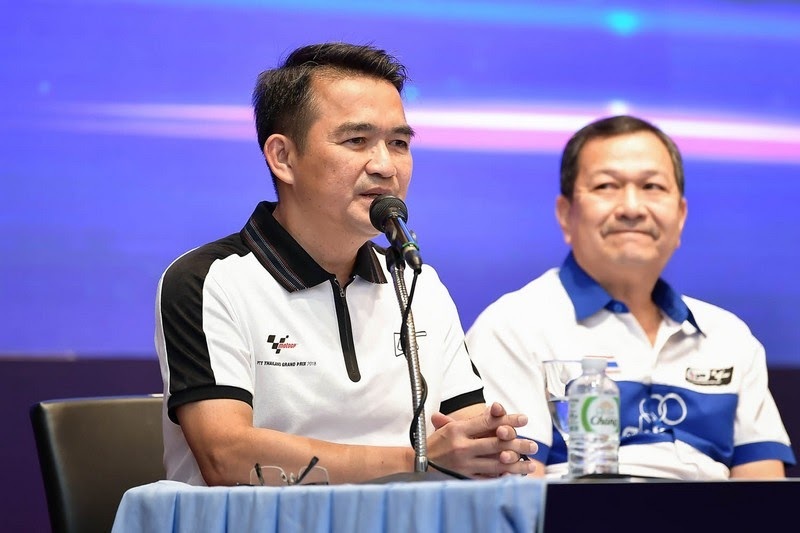 Mr. Weerasak Kowsurat, Minister of Tourism and Sports, presided over the press conference. 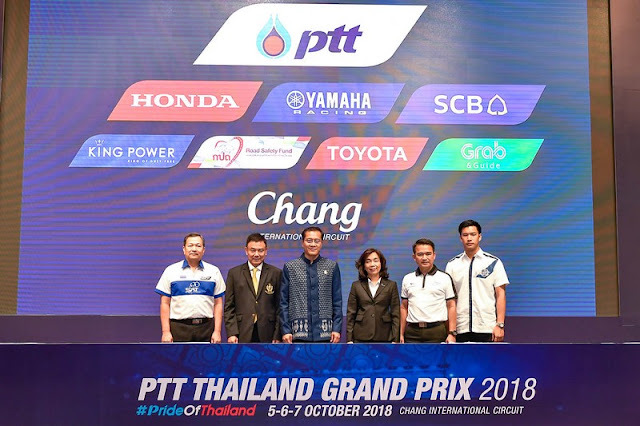 He was joined by Lt. Col. Ruj Saeng-udom, Deputy Governor, Sports Authority of Thailand; Mr. Anusorn Kaewkangwan, Governor of Buriram Province, Ms. Jiraporn Kawswat , Acting President and Chief Executive Officer, PTT Oil and Retail Business Public Company Limited; and Mr. Tanaisiri Chanvitayarom, Managing Director, Buriram United International Circuit Co., Ltd.
Lt. Col. Ruj Saeng-udom, Deputy Governor, Sports Authority of Thailand; talked about the first-ever MotoGP of Thailand. “SAT, being the main organizer, is fully committed towards making the first-ever MotoGP of Thailand a tremendous success. 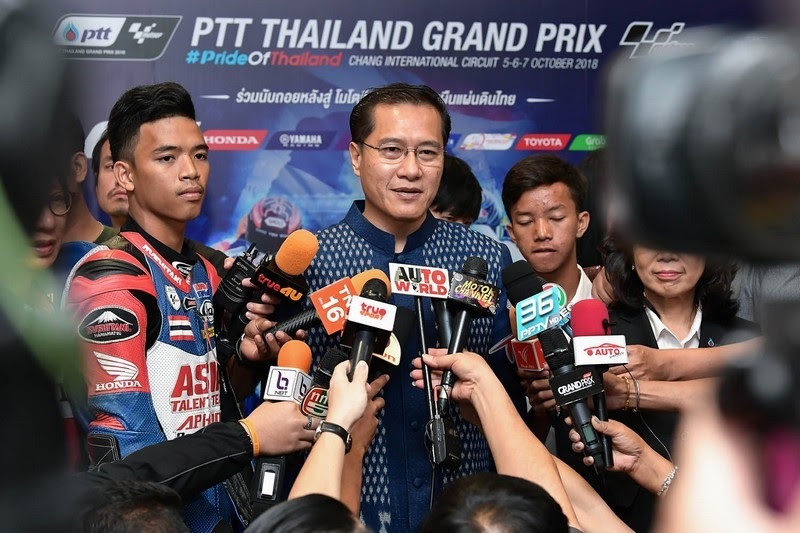 We believe the energy of Thai people from all walks of life will leave a strong impression with motorsport fans in Thailand and around the world. Mr. Tanaisiri continued that within the circuit’s compound, three shuttle service lines will be available to transport visitors to the different entrances, stands, food and beverages stations, first aid stations and restrooms around the circuit, covering every spectator stands, greeting and activity areas. 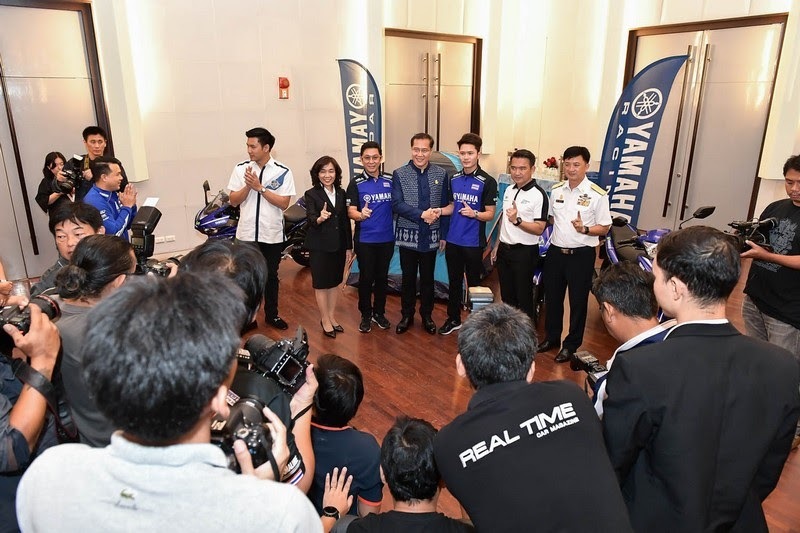 “Also, the collaboration and joint effort with sponsors from the private sector have been very smooth. 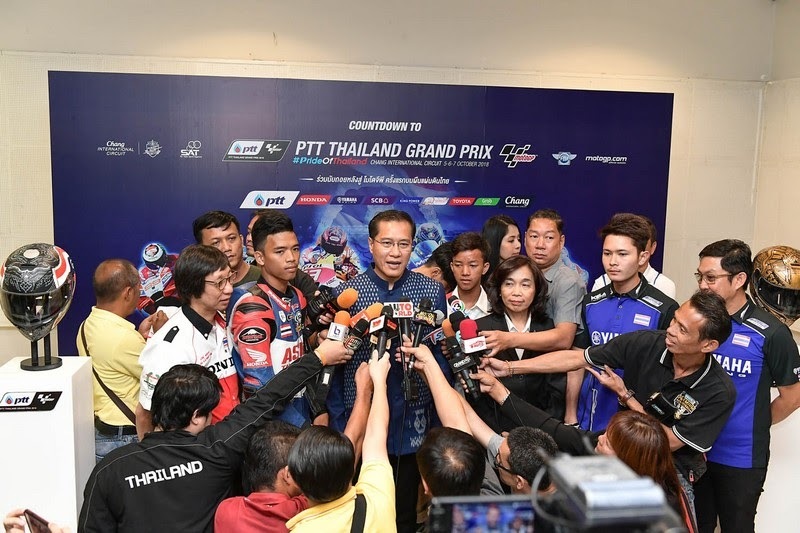 We have special activities ready for tourists over the course of three days on an area of 30,000 square meters, which will please MotoGP fans in Thailand as tickets will be very affordable and there will be plenty of entertainment in store,” Mr. Tanaisiri added. 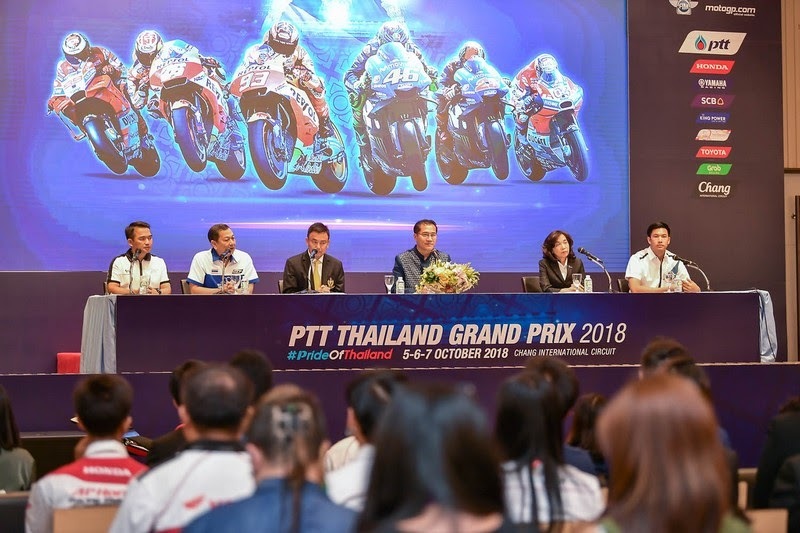 In addition, the historic MotoGP of Thailand will also have a place for learning and entertainment in the form of PTT Thailand Grand Prix Expo. 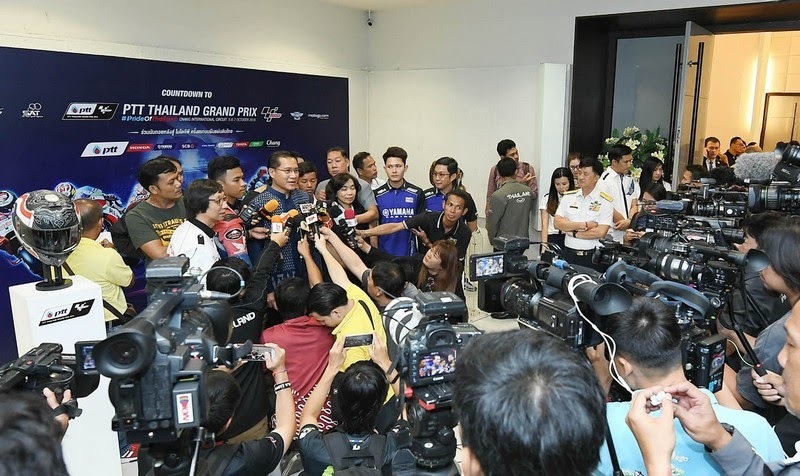 Motorsport fans can browse and discover motorsport products from more than 100 partnered motorsport stores at an attractive price. 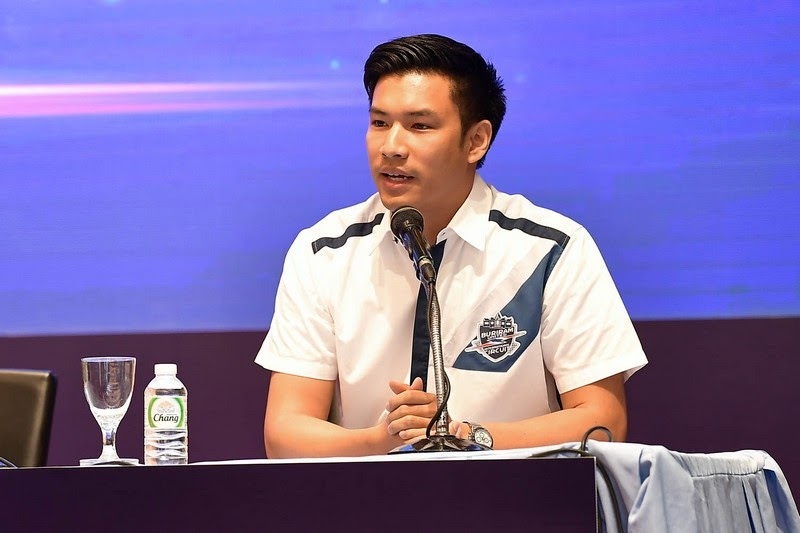 The Muay Thai Expo is another attraction not to be missed. 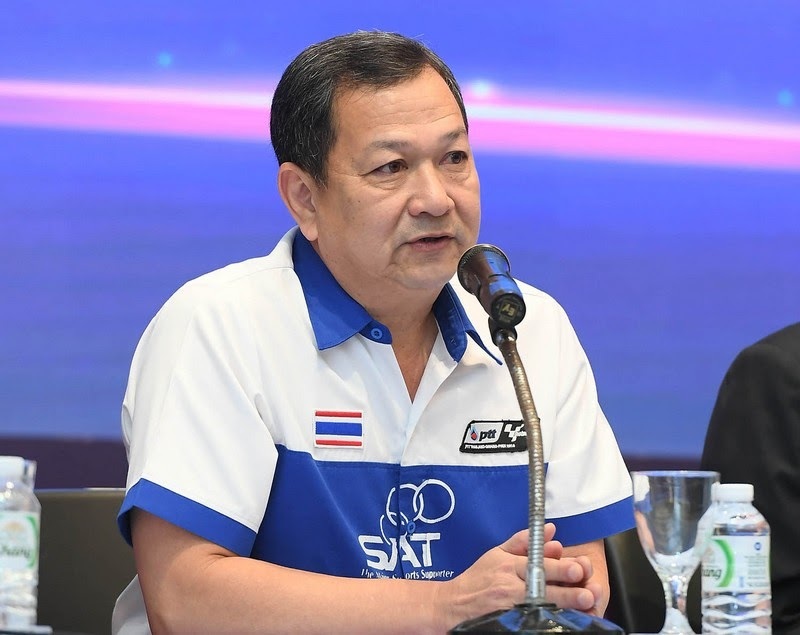 The Muay Thai Expo will showcase Muay Thai products and performances to promote Thailand’s national treasure to the world. 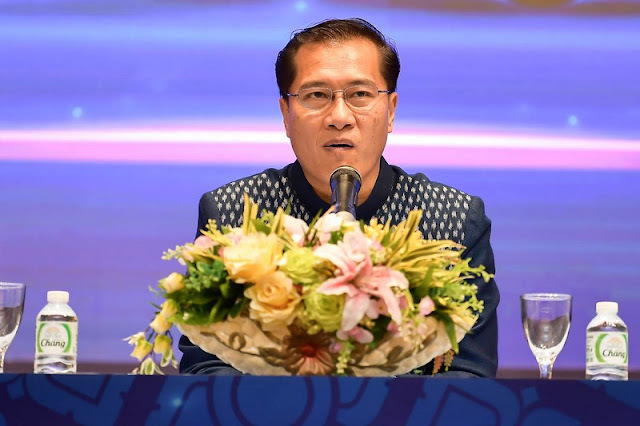 Also, there will be special shows at the end of each day. On Friday, October 5, visitors can enjoy a Muay Thai competition featuring legendary Muay Thai boxers such as Samart Payakaroon and Somlak Khamsing. 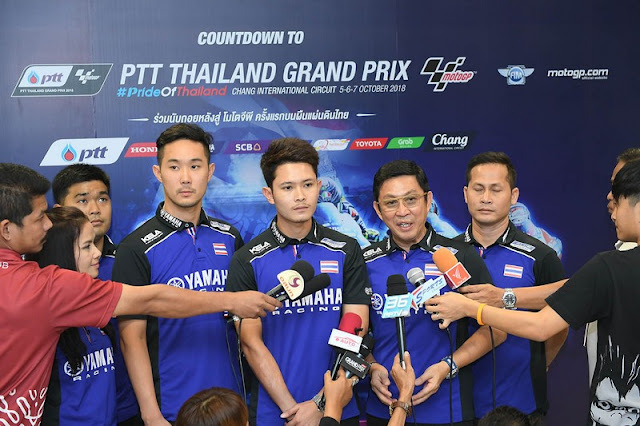 At the evening of Saturday, October 6, motorsport fans can switch gears and enjoy performances at Chang Music Connection concert, where Thailand’s top music acts including Waan Thanakrit, Atom Chanakant and the Getsunova will rock the stage. 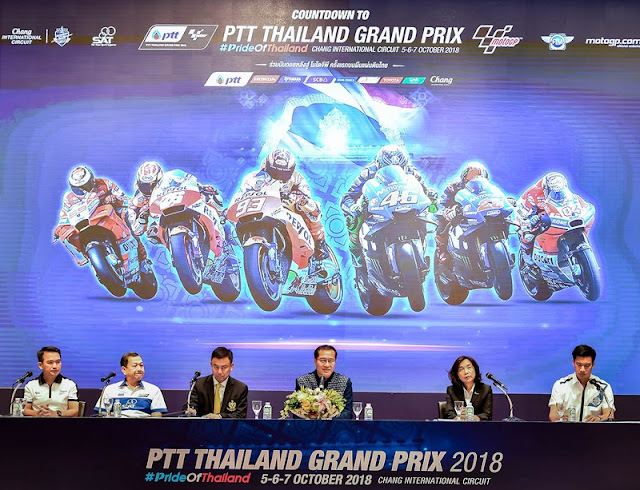 This grand event will end with a bang as BNK48, the hottest girl group, will perform a mini-concert on Sunday, October 7. All the 16 BNK48 members will show off their moves and charm at the event. 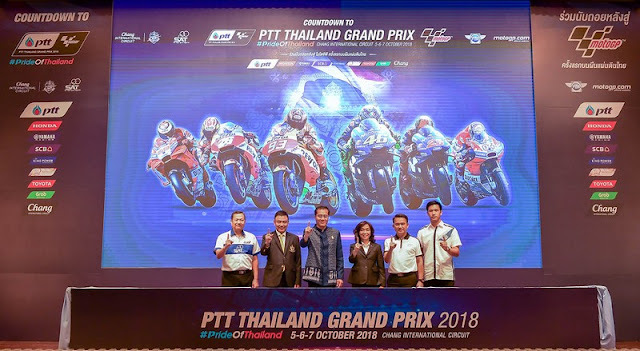 Join us and be part of history at the world’s number one grand prix motorcycle racing event to be held for the first time in Thailand, on October 5-7, 2018 at Chang International Circuit, Buriram.